Otitus is an ENT-disease, that corresponds inflammatory process in an ear. 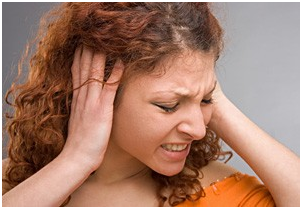 Its symptoms are – pain in an ear, which can be pulsating, darting or aching of various intensity. The pain can extend to different parts of a head and even to teeth. It can become stronger during swallowing, cough and sneezing. Otitus is usually followed by overall weakness, disorder of sleep and appetite, dizziness. The temperature during otitus usually rises up to 38-39 degrees C, but sometimes stays normal. Stuffiness and noise in ear, hearing loss are also typical for otitus. If there is any secretion from an ear (serous, bloody or purulent) it is an indication of tympanic membrane perforation. Treating otitus is usually a task of a doctor – otolaryngologist. Treatment starts from diagnostics. Seeing a doctor is necessary in order to indicate the type of otitus and to reduce the risk of choosing the wrong treatment tactics. However if you are not able to see doctor within several hours, you should start home treatment anyway. Usually otitus flow together with a basic disease that led to ear inflammation. And otitus cure is possible only after the basic disease has been cured. The treatment of upper airways and nasal breathing recovery are always necessary. A patient should avoid exposure to cold. Immunogens and vitamin complexes are usually prescribed. During otitus bed rest and light, calorie rich, vitaminized food are recommended. This treatment is aimed at microorganisms that caused the inflamation. Antibiotics are applied for such purpose, sometimes together with sulfanamides. All the remedies should be prescribed by the doctor, however some of the drops can be applied right away: Otipax, Otinum, Sofradex. It is forbidden to use the antibiotics that can injure hearing apparatus: Gentamicin, Streptomycin, Amikacin! To reduce the allergization of the body antihistaminic medicine is prescribed. In case of acute ear pain analgesic remedies are taken. It is necessary to repeat that the exact complex, dosage, optimal way of taking of necessary drugs for otitus treatment should be chosen by a doctor if you want effective results. When curing otitus the external acoustic duct gets regularly desinfected by 40% ethyl alcohol or irrigated by 2% boric acid solution with further drying by probe covvered with a cotton, or treated 10% synthomycine emulsion. In case of abundant secretion from an ear during otitus it is recommended to timely (with a help of gauze turundas or probe covered with cotton) remove the discharge, preliminary pouring 5-7 drops of 3% hydrogen peroxide solution pouring into acoustic duct. External acoustic duct is oiled by sterile vazeline or any other liquid oil in order to avoid skin injure. To provide free breathing more you should drop vasoconstrictive drops in your nose – Naphthyzinum, Halazolin, Sanorin, Farmazolinum. Hot compress is usually placed on parotid area, however consultation with a doctor on this procedure is strongly recommended. This can be semi-alcohol compress or dry heat (of heated enough, thoroghly wrapped coarse salt). While curing otitus ultrahigh frequency waves are applied to the ear area, ultraviolet irradiation (quartz) of the external acoustic duct, auricle. Entotic laser therapy is also effective. Ear inflation is also an otitus treatment procedure. All the treatment activities of this type must be only iniciated by otolaryngologist in the outpatient setting. Hospitalization is indicated only in cases of atypical or severe course of atitus. Usually the success of otitus treatment directly depends on which procedures are chosen. Proper treatment in 99% of cases leads to favorable outcome, while improper methods usually result in cronical otitus that develops from accute form.